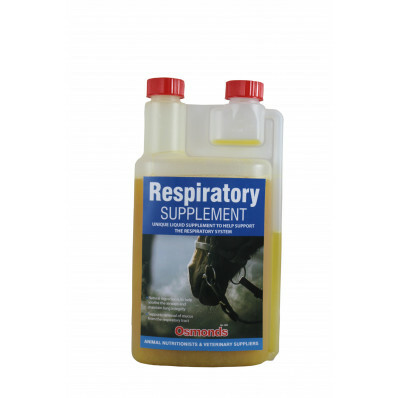 OSMONDS EQUINE RESPIRATORY SUPPLEMENT: To maintain healthy airways and optimum mucus removal. 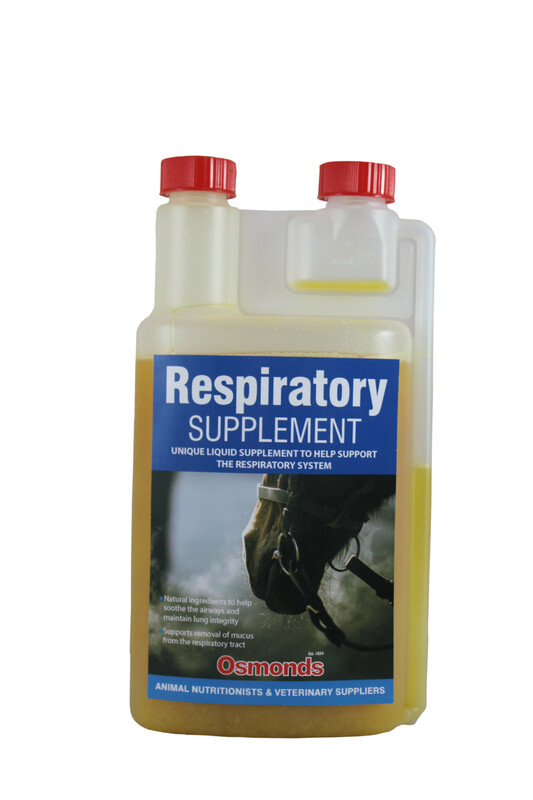 A unique liquid supplement for support of the respiratory system in both performance horses and older horses with compromised respiratory function. Natural ingredients help to soothe the airways, maintain lung integrity and also support the removal of mucus from the respiratory tract. Add to the feed daily or give directly to the horse via syringe into the back of the mouth, may also be used immediately prior to exercise. Menthol & Eucalyptus oil: helps soothe and clear airways. Echinacea Oil: Well documented beneficial effects to actively promote a high natural immune system. Garlic Oil & Aniseed Oil: Helps support the respiratory tract. Honey: A highly palatable source of natural sugar as well as having antioxidant properties. Apple Cider Vinegar: Anti-inflammatory properties and helps drain the sinuses. Feed 30ml per horse per day.